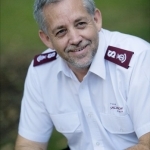 Our Board are made up of a successful business leaders and professionals and members of The Salvation Army who volunteer their time to oversee the governance and strategic direction of The Salvation Army’s Oasis Youth Support Network. About: Tim joined the Oasis Advisory Board in 2011. Tim has been interested in helping make a difference in the lives of young people for many years, having been an active member of the Big Brother Little Brother program for almost a decade. 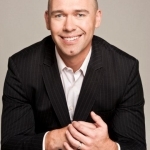 During the day Tim is CEO of MYOB, Australia’s leading provider of online accounting solutions; a business that works to make business life easier for it’s 1.2 million active clients in Australia and New Zealand. A father of three and active member of his local community, Tim is also an avid Geelong Cats fan. About: Alan’s passion for charities and helping to support disadvantaged youth is what inspired him to join the Oasis Board. Since becoming a board member, Alan has been active in supporting the many programs Oasis has developed to help change the lives of Sydney’s youth. As the CEO of Markitforce, a company Alan established in 2001, he has been able to provide work experience for young people to help educate, train and provide skills to confidently allow them to enter the workforce and re-engage with society. Away from work and Charities, Alan enjoys spending time with his wife Anita and two kids Jackson and Grace. About: Steve joined the Oasis Board in 2012 and is increasingly active in supporting the team. With two teenage boys of his own, Steve is very aware of the challenges in young people’s lives and Steve is very keen to help Oasis continue to make a real positive difference. 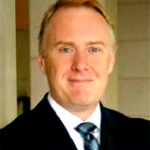 Steve is a Partner at PwC specialising in large scale change and transformation increasingly with a Pan-Asia focus. Married for 25 years with two teenage boys, Steve is a keen sailor and enjoys a round of golf in the odd bit of free time that might come along. 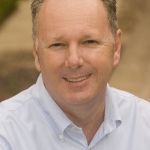 About: Christopher founded and still runs Talkforce, one of Australia’s leading leadership development, communication skills training and facilitation skills businesses. 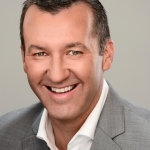 As well as working with a long list of corporate clients in Australia, Asia and the US, Christopher donates around 20% of his time each year to non-profit organisations. He has enjoyed a 10+ year relationship with Oasis, he also chairs the Salvos Youth Foundation, and is involved in their newly formed working group to assist asylum seekers and refugees in Auburn. Other organisations he is involved with include, The Reach Foundation, The Inspire Foundation and Weave – Youth & Community services. Away from work he spends time with his wife Susie and their three children Emma, Phoebe and Tom, who all also volunteer with these organisations. 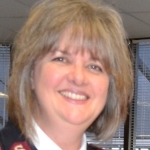 About: After 20 years leading local Salvation Army congregations in Qld, NSW and Halifax, Canada, has spent the last 9 years in fulfilling Management and Administrative leadership roles with the Salvation Army at regional and territorial levels. About: Robyn’s role involves advocating for Oasis at a wider Salvation Army level and supporting the management of Oasis. Robyn has been involved in the Social Work field since 1989, beginning her working life at The Salvation Army Outreach Service, Kings Cross. Robyn joined the Oasis Advisory Board in January 2013.